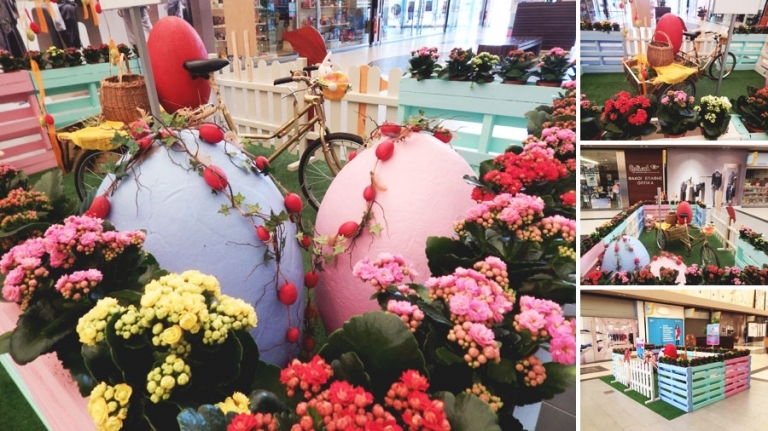 Easter has arrived in Larisa with the most playful, creative and colourful way! 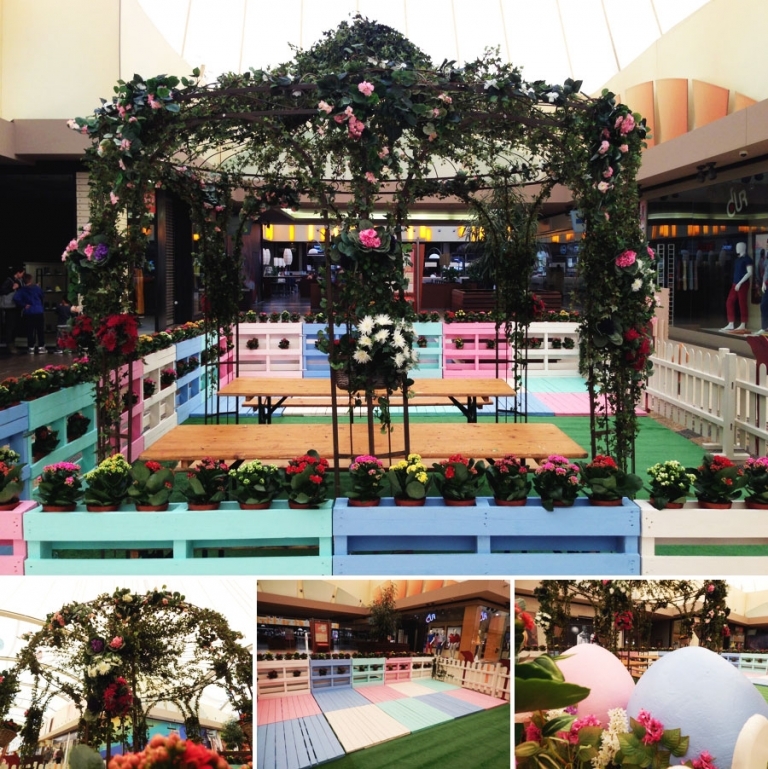 We have added a bit of holiday cheer to Pantheon Plaza Easter celebration by creating our Pastel Easter Garden with three activity stages for our little friends and their parents! With lots of flowers, egg shaped decoration details and colourful palettes we have tried to get in the spring spirit and celebrate the most beautiful season of the year! Our exclusive design idea was the natural flower pots placed along the pastel palette fence! Kids loved it! 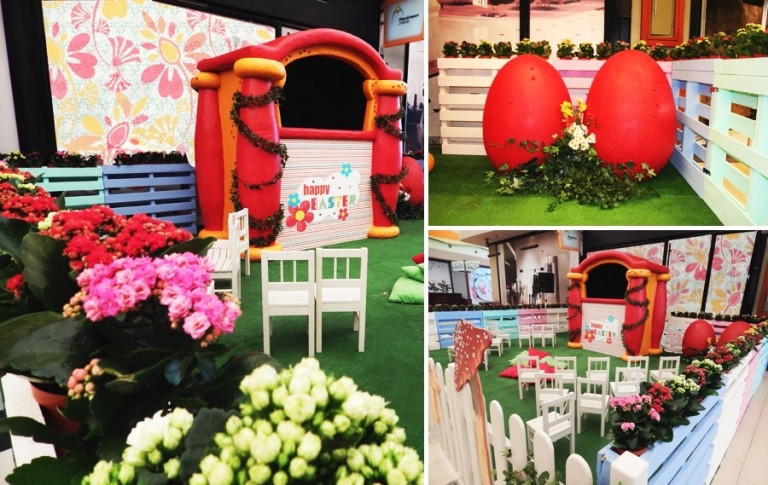 The whole concept is farmed by live performances on the Easter Week which includes Human Puppet Show, drawing, theatrical shows and lots of music! Easter is more than just eggs and candy! It is also about peace, love, and fun!